Experience diving in the clear, calm, current-free water of Kalogria beach, the Mani Peninsula in Greece. 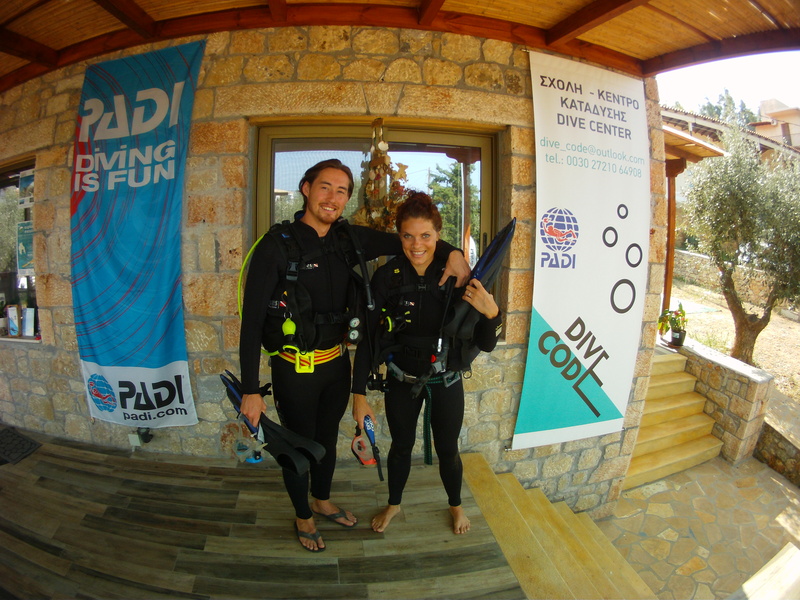 As a team of fully qualified PADI Instructors and Divemasters, we provide courses in both Greek & English and, where possible, offer teaching materials in your first language. The Bubblemaker programme is limited to a depth of 2 metres and can be experienced in a pool or in the calm, clear waters of the bay. 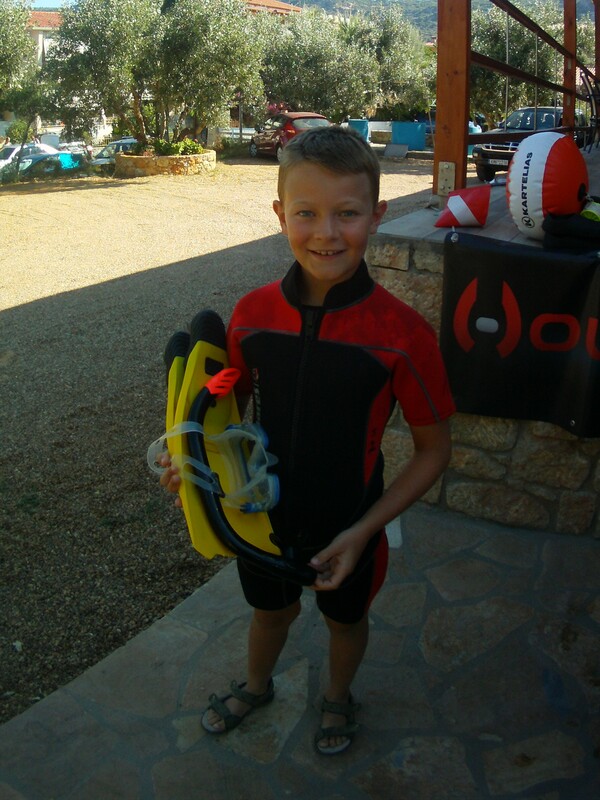 The child, who is supervised by an instructor at all times, learns how to use basic equipment, equalize their ears, clear a mask and breath correctly in water shallow enough o stand up in. In the pool we play with underwater toys. In the bay we continue the dive to see the underwater life in the shoreline. A small booklet provides an introduction to the effects of being underwater, the equipment and signals we use to communicate. 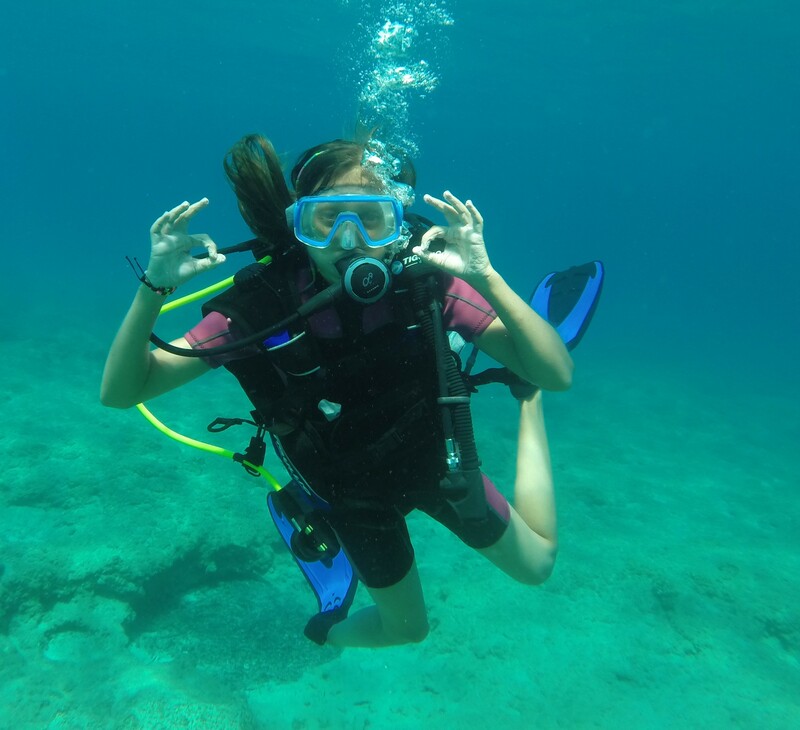 After you have been kitted out, you will practice some basic skills under the direct supervision of a PADI professional before exploring the bay, this includes a visit to the underwater spring which brings water from the mountains. Many people go on to complete a second dive to visit the rocky reef to a depth of 12 metres. 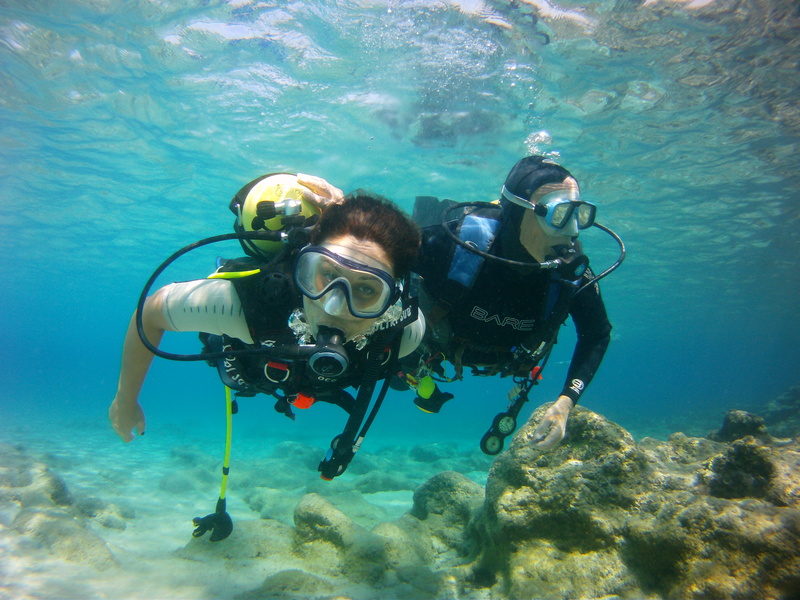 Whilst this experience does not qualify you to dive, on completion of the skills it can be counted as the first dive of the Open Water Course which does.